Another nice pair. Test tool #1 and an exceptionally good Squier JV series Strat. 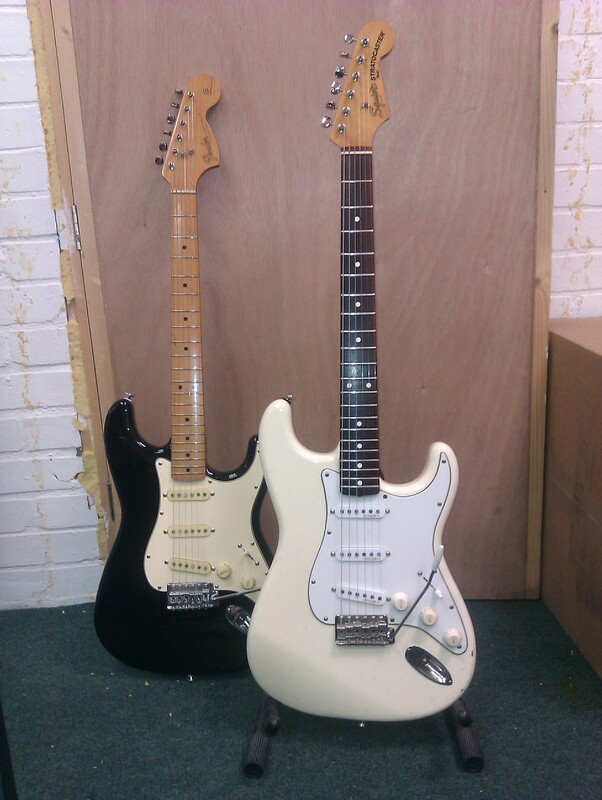 The Squier came in for a setup, and is one of those guitars that is simply “right” in all respects.